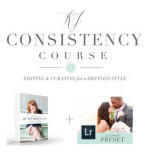 The purpose of this course is to equip you to create consistency in your editing and educate you on how to curate your images in a way that creates a defined style that will attract your ideal clients and give you your life back! Want To Learn More About the Course?, CLICK HERE!! View Katelyn James Education Terms and Conditions Here!